Now, a team of researchers at the University of Delaware has discovered a "sticky" conductive material that may eliminate the need for binders. "The problem with the current technology is that the binders impair the electrochemical performance of the battery because of their insulating properties," says Bingqing Wei, professor of mechanical engineering. "Furthermore, the organic solvents used to mix the binders and conductive materials together not only add to the expense of the final product, but also are toxic to humans." Wei and doctoral student Zeyuan Cao recently discovered that fragmented carbon nanotube macrofilms (FCNT) can serve as adhesive conductors, combining two functions in one material. Their work is reported in ACS Nano, a specialty publication of the American Chemical Society, and they have filed a patent application on the discovery. 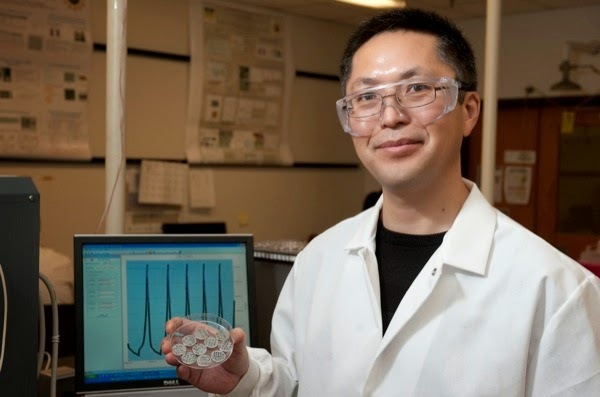 Bingqing Wei leads a research team that has discovered that fragmented carbon nanotube films can serve as adhesive conductors in lithium-ion batteries. Wei explains that FCNTs are web-like meshes with "tentacles" that are coupled with active lithium-based cathode and anode materials. They are then assembled using simple ultrasound processing. The process employs no organic solvents. "We've found that the adhesive FCNT conductors actually have higher adhesion strength than PVDF, the binder traditionally used in lithium-ion battery manufacturing," he says. 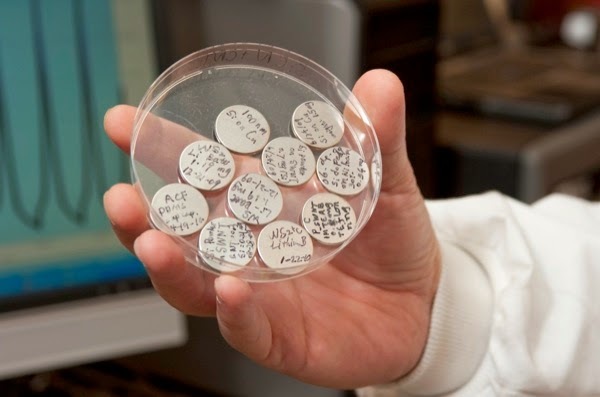 "We've also demonstrated that these composite electrodes exhibit higher electrical conductivity than traditional materials, and we've achieved these benefits in a low-cost green fabrication process that replaces toxic organic solvents with just water and alcohol." "There is a wide market for lithium-ion batteries," he adds, "and we see great potential for the use of this technology in vehicle applications, where quick charging and discharging are required." The approach strategy could also be employed for electrode preparation for other energy storage devices such as electrochemical capacitors.